In this post you’ll learn how to get operational insights (i.e. 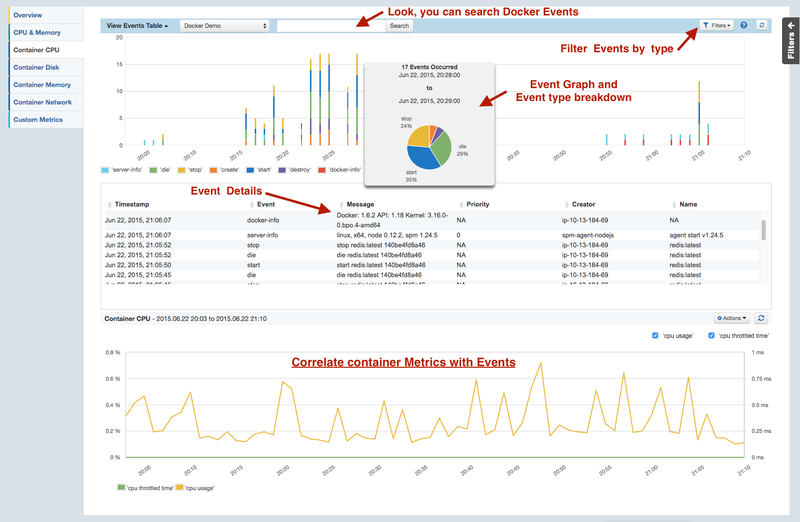 performance metrics, container events, etc.) from CoreOS and make that super simple with etcd, fleet, and SPM. By the end of this post each of your Docker hosts could look like the above figure, with one or more of your own containers running your own apps, and a single SPM Docker Agent container that monitors all your containers and the underlying hosts. Of course, you can change “myapp” part to whatever you want. This simply acts as a namespace in etcd in case you have multiple SPM Apps (and thus multiple SPM App Tokens). 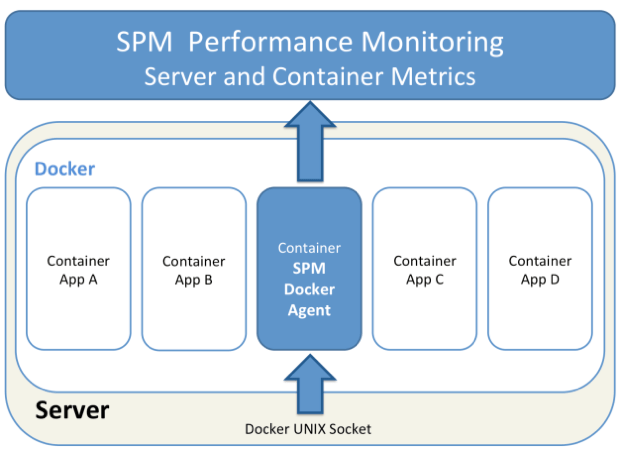 After about a minute, you should see Docker metrics and events in SPM. Having this little setup let’s you take the full advantage of SPM and Logsene e.g. by defining intelligent alerts for metrics and logs, delivered to channels like e-mail, PagerDuty, Slack, HipChat or any WebHook, as well as making correlations between performance metrics, events, logs, and alerts.